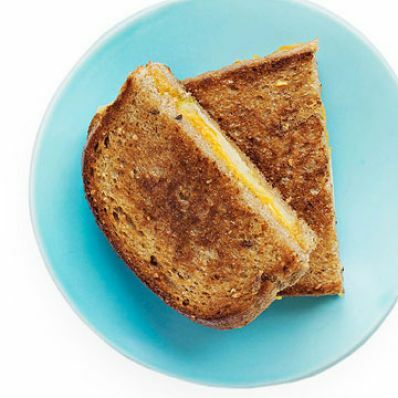 1 of 3 Spread 1 piece of bread with 1 teaspoon honey-mustard then layer 14 cup grated cheese, 4 apple slices and another heaping tablespoon cheese. Top with another slice of bread; spritz with nonstick cooking spray. 2 of 3 Heat a small nonstick skillet over medium heat. Place sandwich, cooking sprayside down, in pan and coat top slice of bread with nonstick cooking spray. Press with spatula. 3 of 3 Cook for about 2 to 3 minutes or until golden brown. Flip and cook for another 2 to 3 minutes. Repeat with remaining sandwiches.